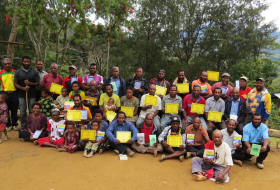 Thirty Bible teachers from six languages came together to become the students. 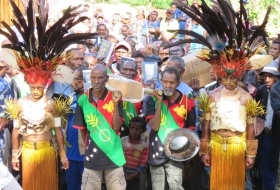 Hundreds attend event in the Highlands of Papua New Guinea. ‘Kaminsungwe’ — The Rain is Coming! 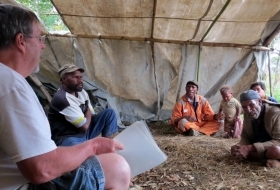 Martin Lamb recently had the privilege to help present the New Testament to the Dom church in Papua New Guinea. 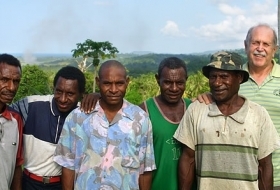 He grew up among the Dom people of Papua New Guinea while his parents, Colin and Brenda Lamb, worked to establish a church there. Martin now serves with NTM Canada. 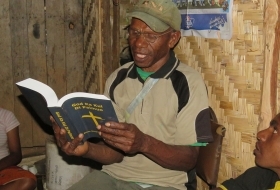 The last two New Testament books to be translated into the Dom language have been checked. Nothing is more joyful than seeing God’s work in hearts after years of faithful sharing. 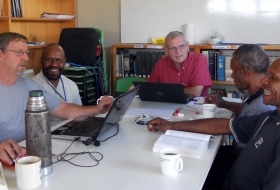 Jim Burdett has the translations of James and Philemon ready for the final check by an experienced Bible translator. He is almost done translating Matthew back into English for a check in January. Pray that the translation work goes quickly, but that checks turn up any problems or issues. Reading Ephesians for practice, Yal Ki’s heart was stirred and he turned back to God. This week, Lori Morley is helping Jim and Judy Burdett work on some long-standing problems with the Dom orthography. Orthography involves how letters are used and how words are spelled in a language. Missionaries must develop an orthography when a language is written down the first time, and problems with the orthography can cause problems in reading, writing and comprehension. Pray that Lori, Jim and Judy can address the issues well. A weekend visit to assess the maturity of the Dom church, and what steps come next, went well. "We enjoyed good times of fellowship and friendship, praying together and discussing what Christ is doing in His church," wrote Mike Mikolavich. Mike, Bill Michaud and Gerolf Wuest handled the evaluation. Thank you for praying.